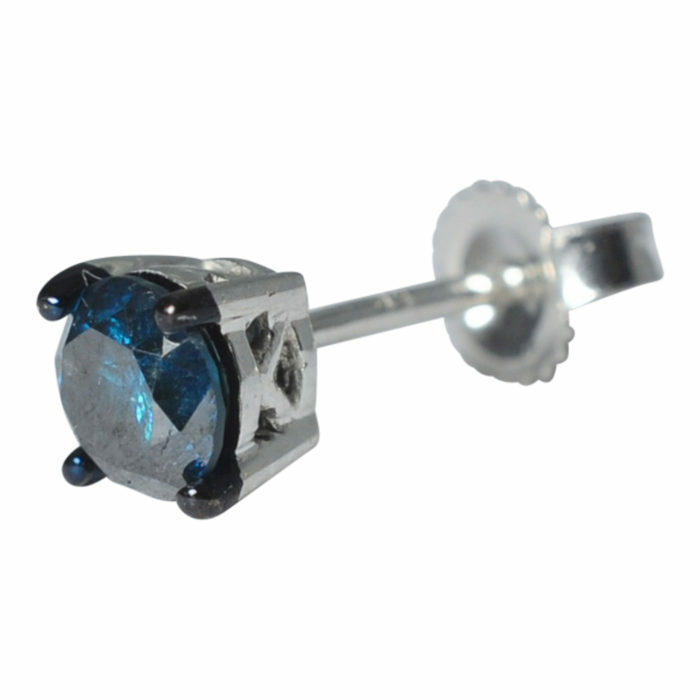 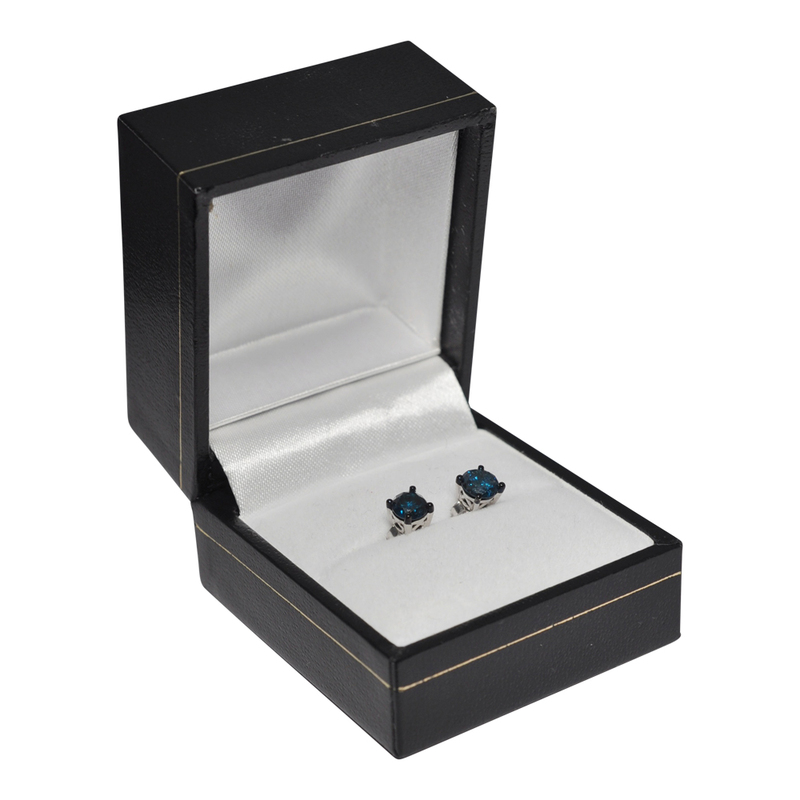 Contemporary teal blue solitaire diamond ear studs; the diamonds weigh 1ct total and are held by 4 blackened gold claws above a white gold cage setting. 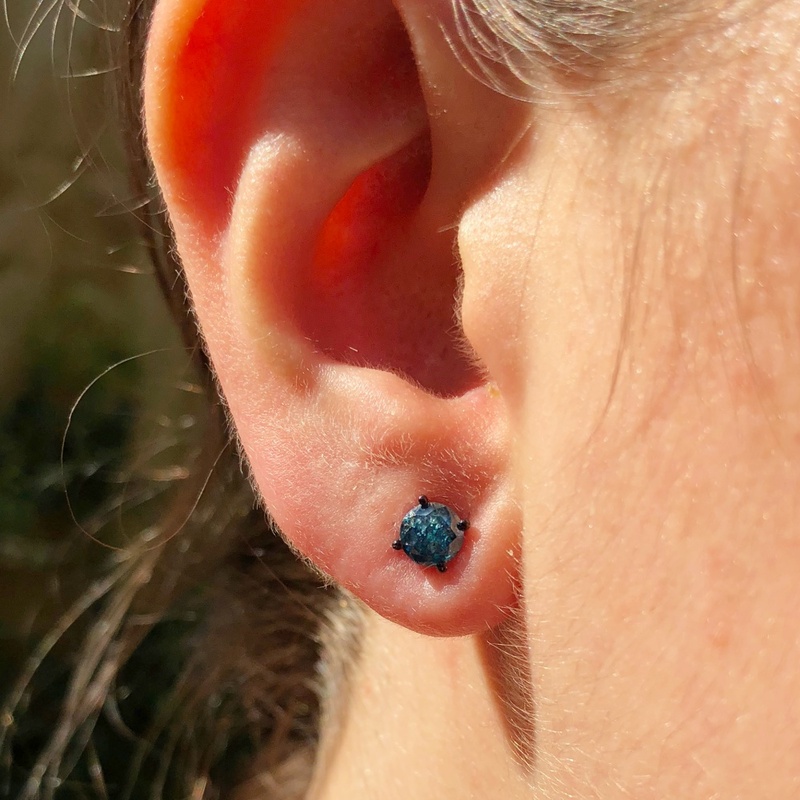 Natural blue diamonds make millions of dollars, but fortunately technology offers a less expensive way to turn diamonds into spectacular colours like these. 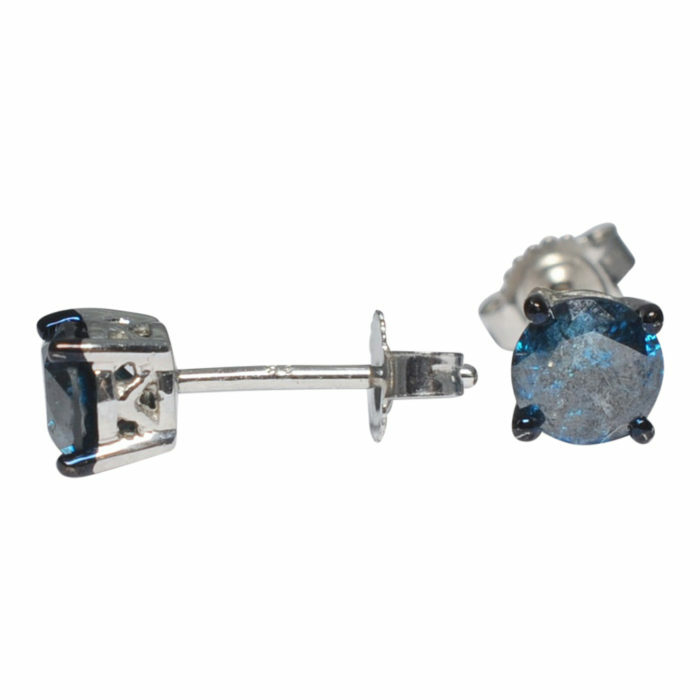 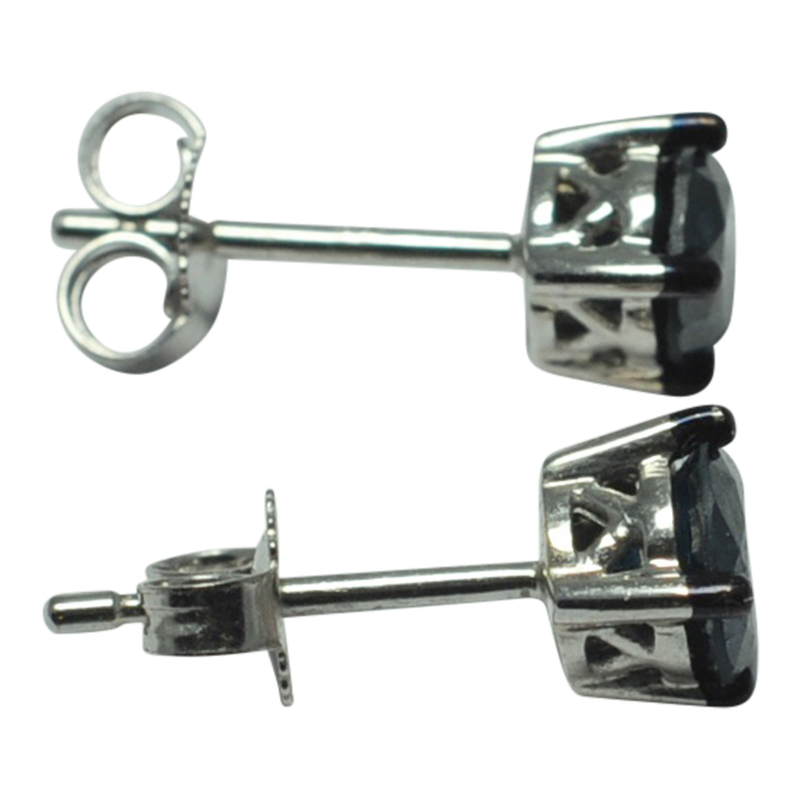 Weight 1gm; measurements 5.2mm x 5.2mm. These earrings are fitted with a post and butterfly and are stamped 9k. 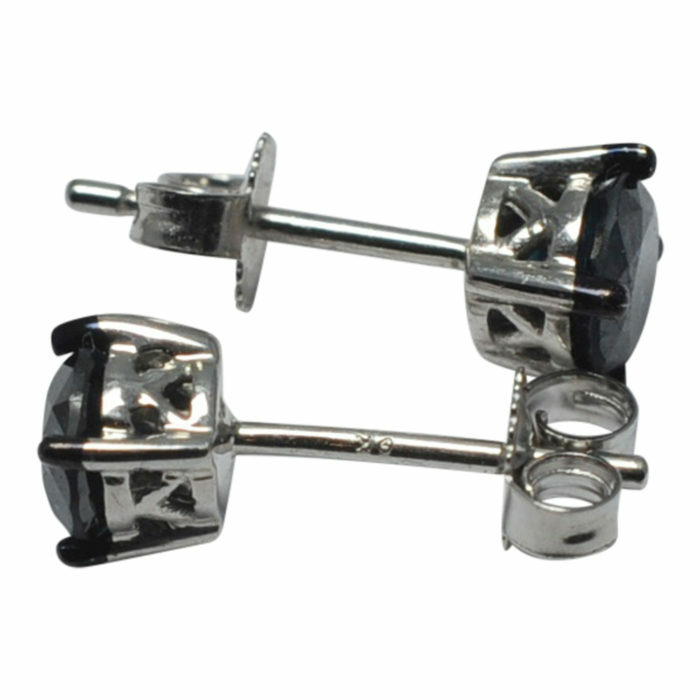 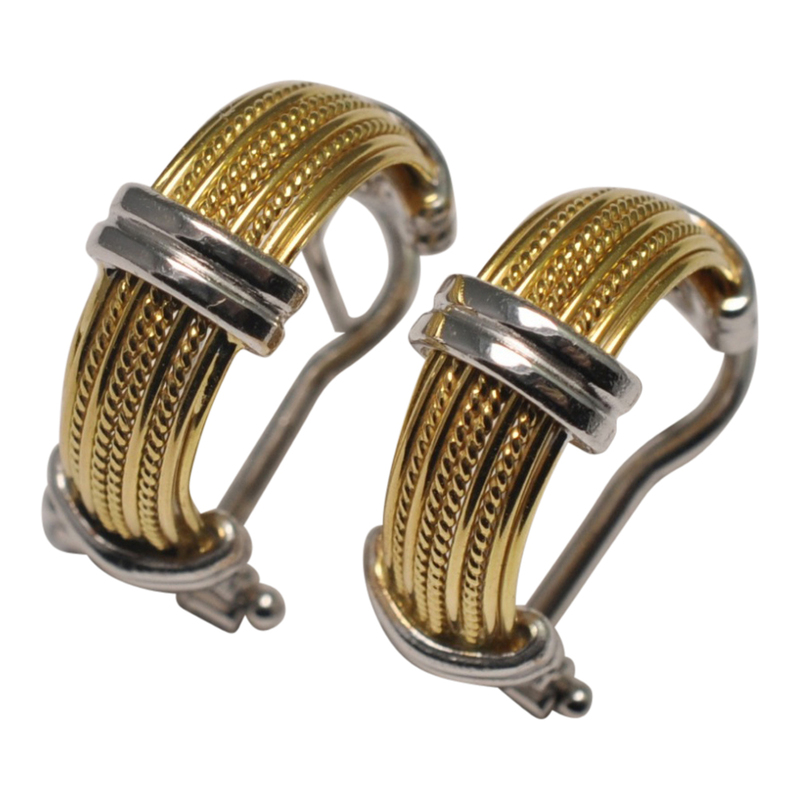 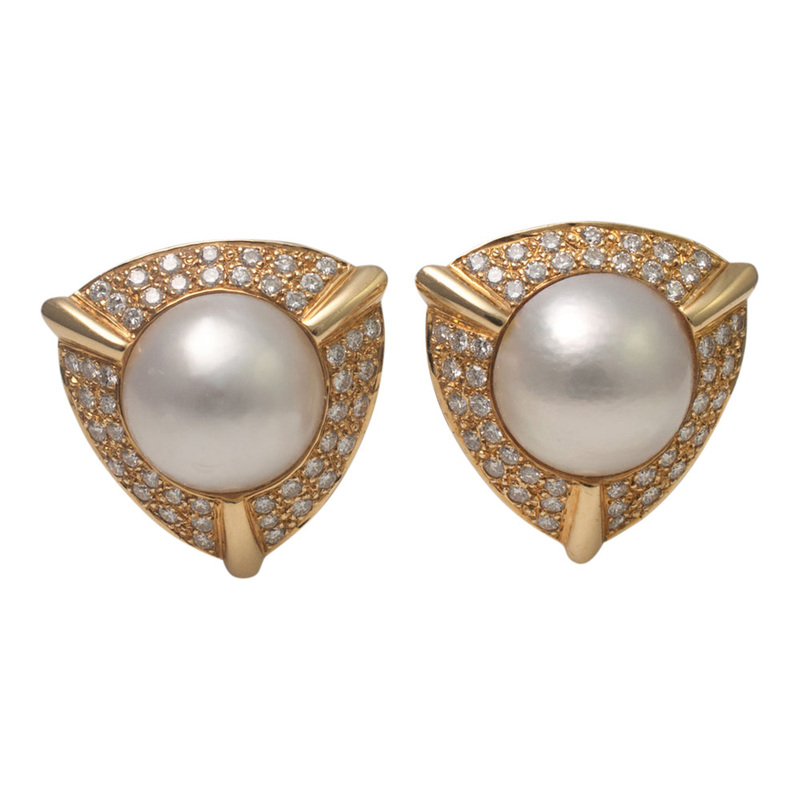 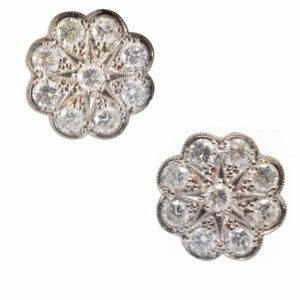 These pretty studs are in excellent condition. 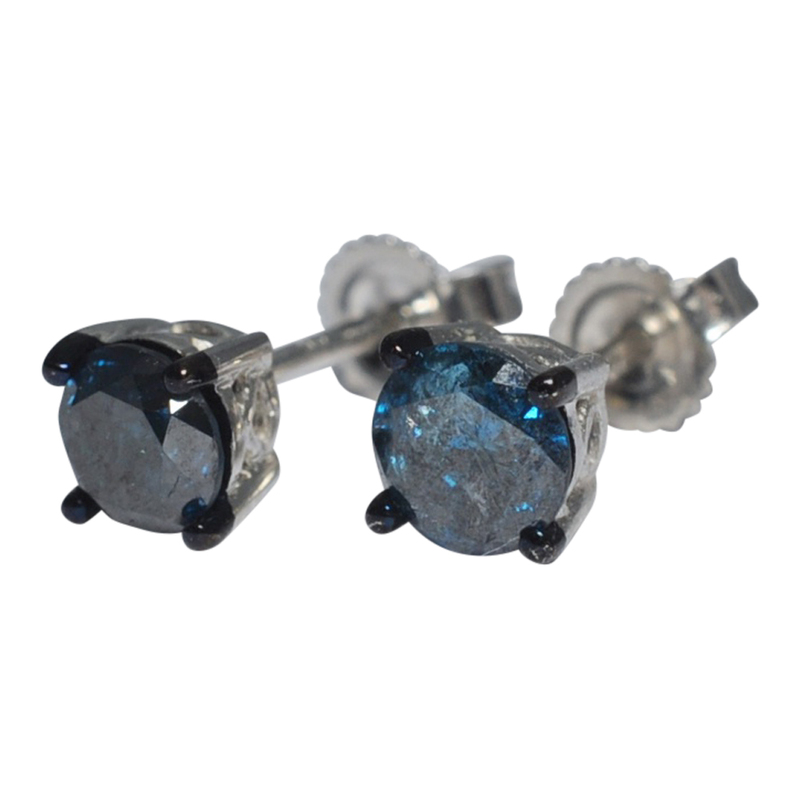 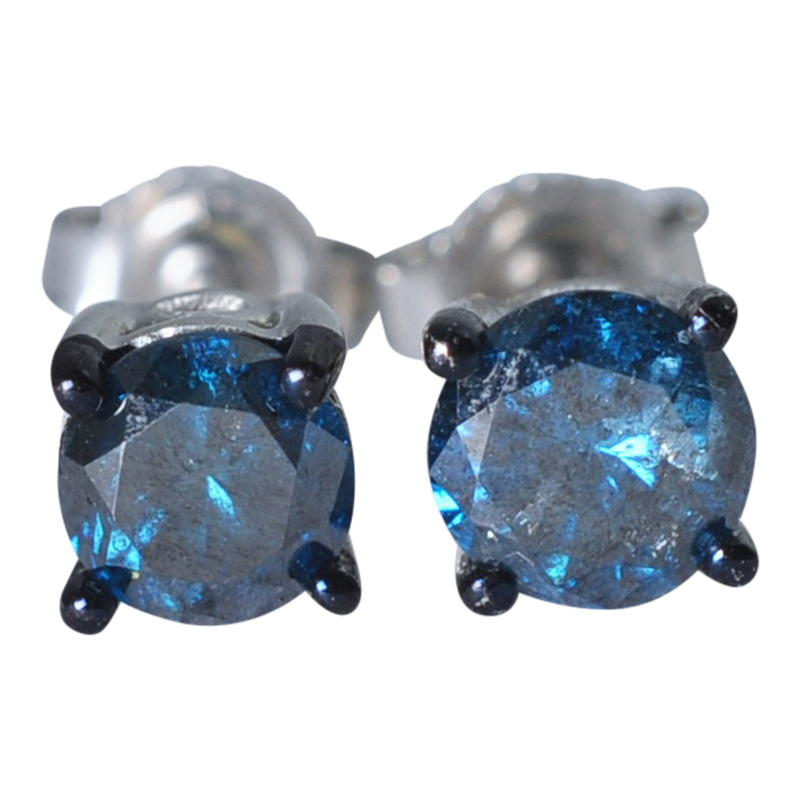 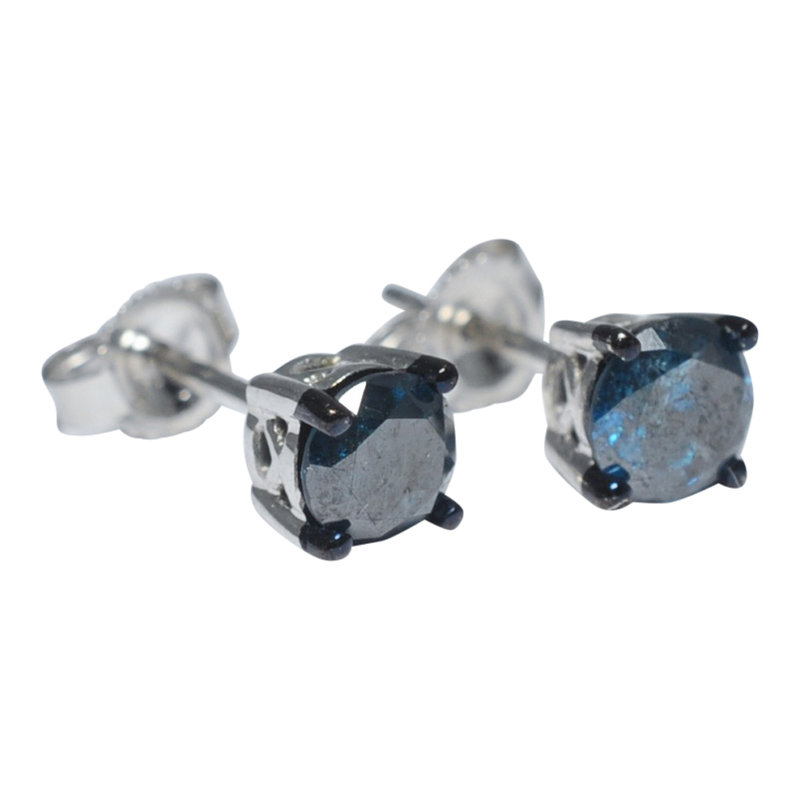 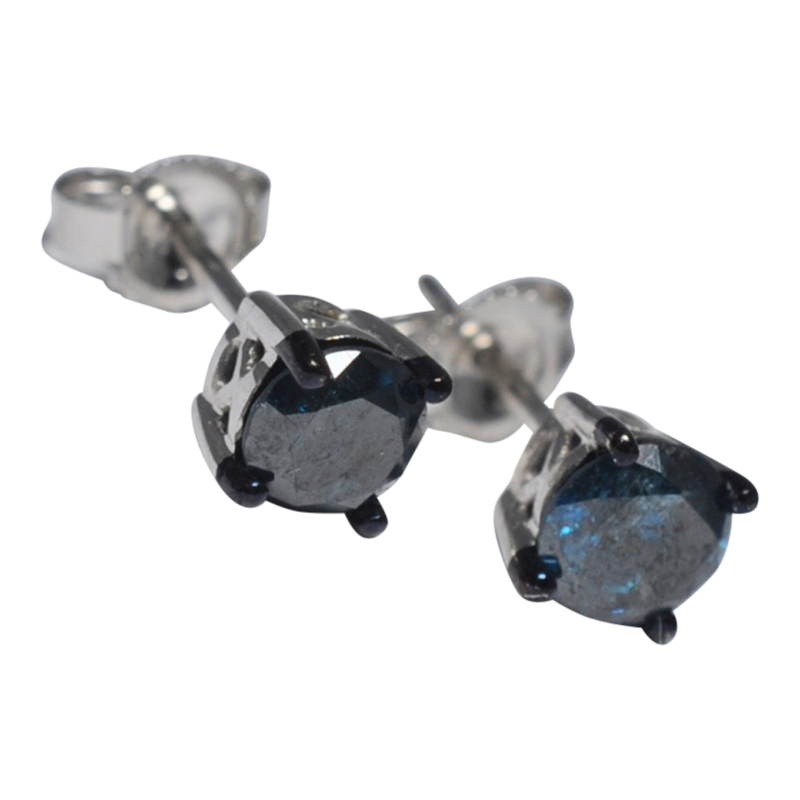 We have a solitaire blue diamond ring to match these earrings in our Rings section.